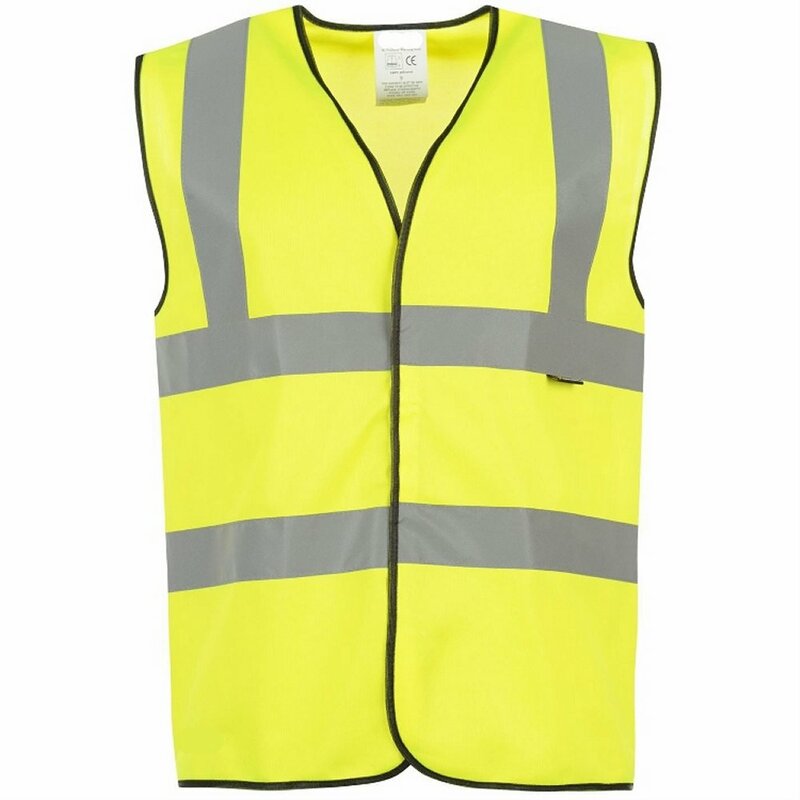 Personalised Yellow Hi/High Vis Visability Vest. Available in 3 sizes, Large, XL and XXL. The waistcoats/vests are 100% polyester weave and are printed using the sublimation process. They conform to 89/686/EEC and have the reflective taping for EN471 EPI class 2 approval. The vest comes with Velcro front fastening. Available plain or personalised. If personalised you have 3 personalisation area options, Breast, Breast & Back or just Back. All printing will be done in black. If you require a logo please upload this using the customise button below.